In life, there is always the yin and the yang. 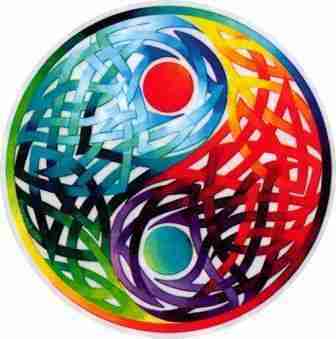 This artistically designed Celtic yin yang sticker is approximately 4 1/2" round, and has a bright and colorful design to it. It's a double sided design, meaning it can been seen vividly on both sides if stuck to glass. Original art design by Fiona McAuliffe.